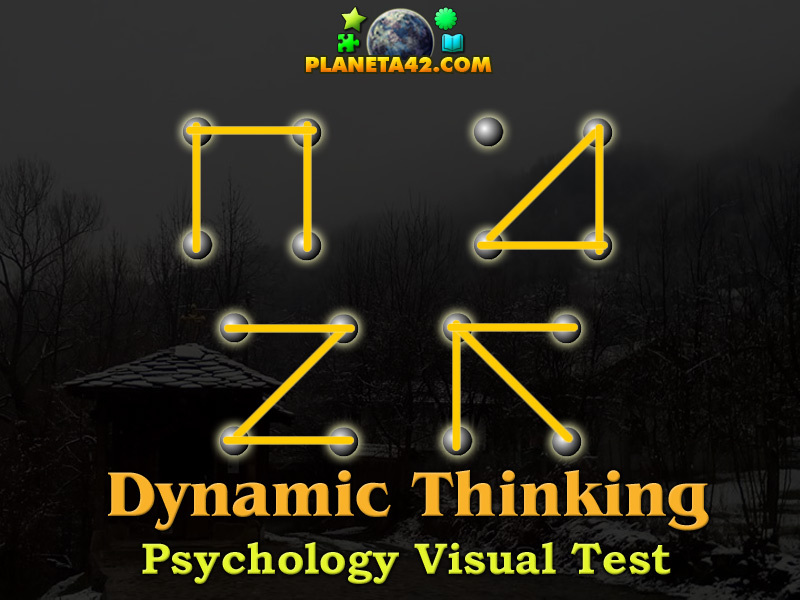 "Dynamic Thinking" is a free online psychology visual test for desktop computers, laptops and tablets, which may be played in the web browser. Solve the famous riddle. It is part of the Interactive Mind Studies educational tools. Thinking test. How to play Dynamic Thinking. This riddle is given by the examiner with a pencil and a sheet. He draws 4 dots in a square formation and ask the student to connect all of them them with 3 straight lines without picking up the pencil and the last line to finish where the first line begun. 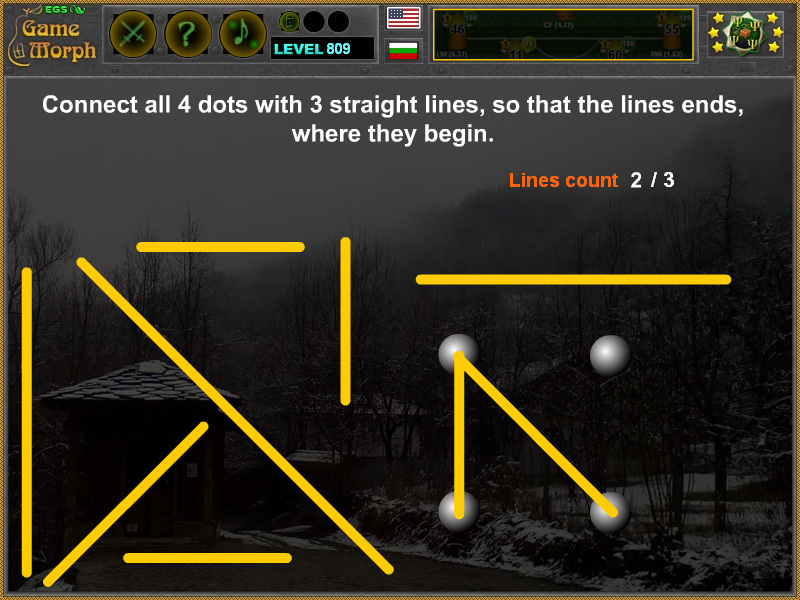 So there are the four dots to the right and there are 9 possible lines to drag and drop them and connect the dots. To remove a wrong placed line just click on it. Class subject: Dynamics of Thinking. Thinking can be defined as a process of solving problems. But not every task implies thinking, it appears only when required to reveal the essence. Thinking occurs when there is a conflict between cognitive needs and how to satisfy them. It begins with a first step misunderstanding second step to understanding that is not understood, and ends with an understanding of what is necessary to solve a problem using creative strategies. Solving the 4 dots and 3 lines riddle is a good example of what "thinking out of the box" means. First, the tester will try to connect the dots while staying in the square formation. He will most probably try some of the variants from the game picture. Then when he understand there is no solution, a trained mind will initiate the dynamic thinking and leave the boundaries of the square to draw a bigger triangle and connect all 4 dots.